Gilat brings together outstanding people from diverse backgrounds to solve real communication problems for commercial and government organizations all over the world. Whether you’re fresh out of university or an experienced professional, Gilat can offer you an extensive range of career opportunities. 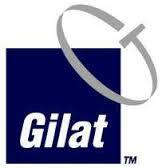 Gilat Satellite Networks Technical Support Team is Providing Services and Support for Gilat products and solutions. Technical Support Engineer is responsible for the maintenance, monitoring, reporting, restoration and analysis of Gilat customer’s services and infrastructure, will work in 8+1h shifts. If you are willing to work in a good International Company and you correspond with the profile, please send a CV to: iuriec@gilat.com.